Set on the outskirts of Kovářská, 6 km from the Přísečnice Reservoir and 9 km from the German border, K Zastavce 557 offers a small sauna and a garden with barbecue facilities. Free private parking is possible on site. 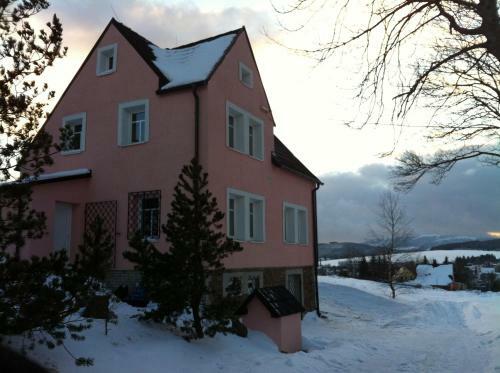 Choose from a wide variety of holiday rentals in Czech Republic, Czech Republic . Book Czech ... K Zastávce 557, Kovářská, Czech Republic (Show map). Booking.com: Hotels in Vejprty. Book your hotel now! Wish list 0. Hotel added to your wish list. Hotel deleted from your wish list. Home · Europe · Czech Republic · West Bohemia · Boc · Hotel Agara; Hotel pictures.